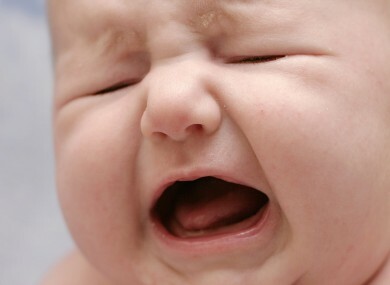 EVEN IF YOU are not a parent, the sound of a baby crying is difficult to ignore. Researchers at Oxford University have confirmed why: our brains are hard-wired to respond strongly to an infant in distress, forcing us to become more attentive and ready to help – even if the baby isn’t our own. The study’s leader Katie Young examined the processes that occur in the human brain when a baby cries, scanning the brains of 28 people as they listened to different sounds. The sounds included dogs whining, cats meowing, human adults crying, and human babies crying, the Guardian reports. Using a rapid-scanning technique called magnetoencephalography, which records magnetic fields produced by electrical currents that occur in the brain, researchers observed a burst in brain activity followed by an intense reaction about 100 milliseconds later in response to an infant’s cry. None of the participants were parents or had particular experience in caring for children. The rapid response to the sound of a baby’s cries suggests that humans are hard-wired to respond to an infant in distress before the person has even fully processed the sound, which researchers think could be a result of an activation of the sub-cortical areas of the brain. “This might be a fundamental response present in all of us, regardless of parental status,” said Christine Parsons, another researcher involved in the study. Email “Why it's SO hard to ignore a crying baby...”. Feedback on “Why it's SO hard to ignore a crying baby...”.